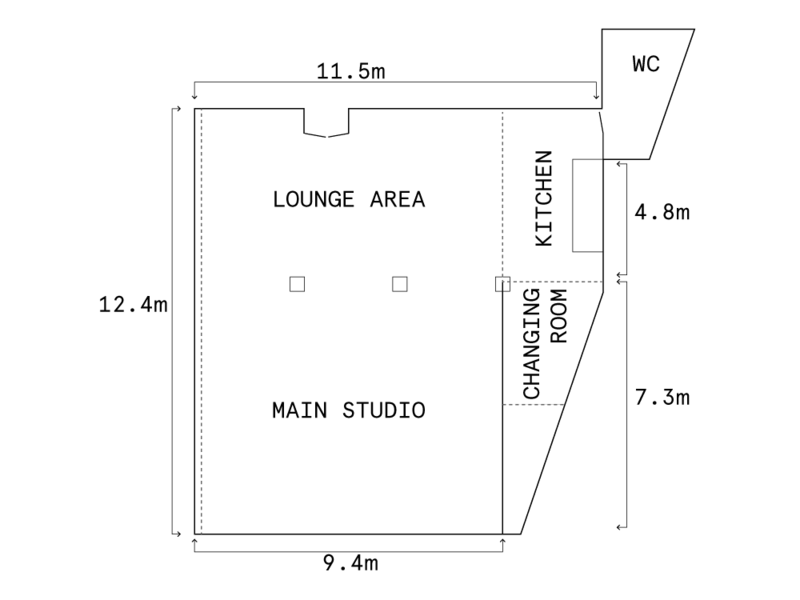 Studio Four is a pristine 112 sqm ground floor studio in East London suitable for photography and film shoots. Located in a former optics factory, we are directly opposite Clissold Park on Stoke Newington Church Street. There is secure off road parking for one vehicle and excellent links with local amenities. We also have plenty of catering options available from local deli’s, cafe’s and restaurants. Studio Four is hired on a daily basis and can also be used as a project space for workshops and light fabrication work for longer periods. We offer affordable rates so please get in touch to discuss your needs and we will see how we can help you. Studio Four has been designed by Art & Design studio Loop.pH. The basic studio day is from 8-6pm and we can generally accommodate over time. We are able to offer discounts for block booking. Equipment, lighting and catering can also be organised at an additional cost. Please contact us for more details.